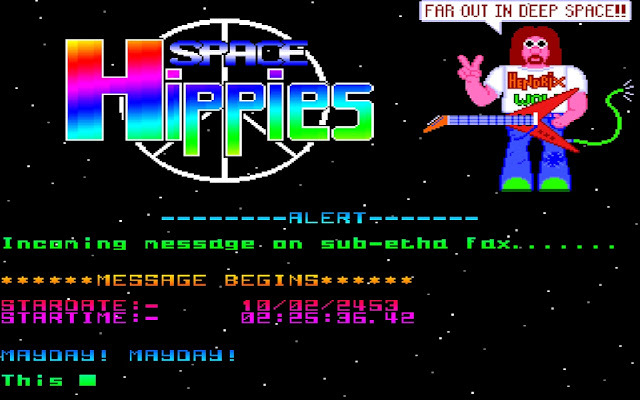 Indie Retro News: Space Hippies - Unreleased Amiga game makes an appearance! Space Hippies - Unreleased Amiga game makes an appearance! Flashtro are on the ball today as not only did they come across an unreleased Amiga game called 'Space Hippies' that was programmed in 1992. It wasn't until WANTED TEAM provided the game plus source code, that Flashtro made available a nice FLASHTRO trainer for the recent find plus a palette fix that helps to spot the enemy bullets better! Now if you love your Space Invaders then read on, as this MIGHT be the game for you! 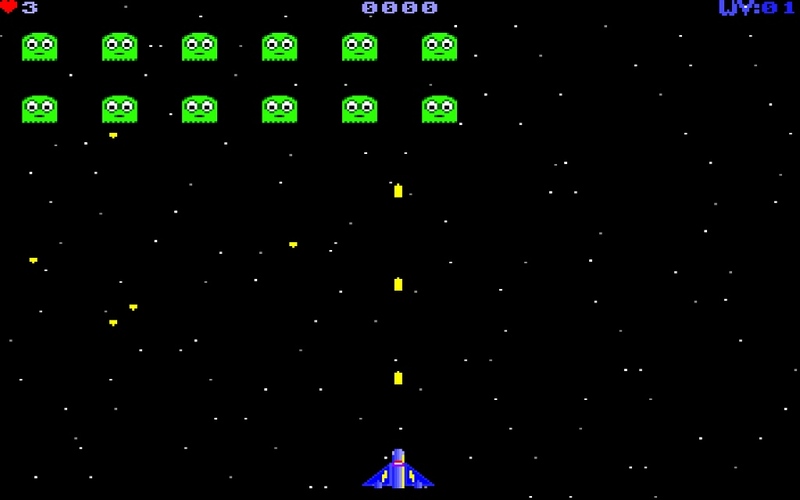 If you remember Space Invaders you'll probably know what to expect in this game, with enemy waves moving in a particular pattern which need to be defeated before they reach your ship. But this game as Space Hippies could almost be classed as a weird take on the classic and to be honest it feels tacky. It feels like a game that was made by your mate on a weekend, as the enemies don't make much sense with flapping toilets, and what's worse the sound effects include "PEW PEW", as if your mate has dribbled into a mic. Don't get me wrong I usually like games like this and more so when it comes with a great trainer by Flashtro. But I just can't get past the sound effects which are terrible and the gameplay isn't much to write home about either. Still it's free and someone might like it!